With last week’s production of the final Land Rover Defender, I just had to add one to my train layout. 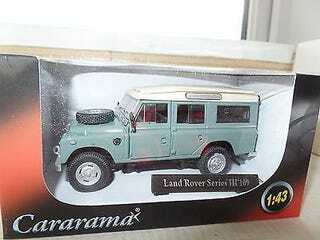 Here’s a 1/43 Series III 109 by Oxford Cararama I bought off the bay from the UK. I washed it down with an India ink alcohol mix followed by a nice chalk dusting. Still looks too “new” but I'll keep working on it.